Harley Davidson – Freedom ain’t selling. You can’t put a price on freedom, the Americans like to say. That turns out to be a pity for that most American of bike brands, Harley-Davidson, which has announced poor financial results, looming job cuts and a marketing splurge to try to turn things around. Freedom, increasingly, looks like all it has to offer. 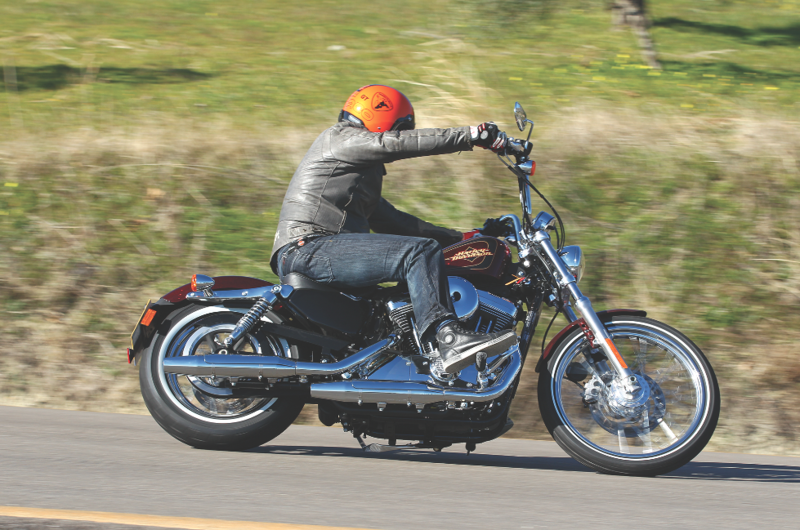 The iconic brand’s problems were thrown in to greater focus when set against figures from Europe and America showing a surge in sales of new bikes…just not Harleys (6.6% up in the US, 10.2% in Europe). Harley’s willingness to change and innovate has always been about the same as a toddler’s willingness to tidy its bedroom. When it has happened it’s only come about after much shouting, many tears and a very long period of sulking. It has echoes of 1980s Rolls-Royce airily insisting it made the world’s best cars, when what it actually made were outdated rust-buckets based on 1950s technology, as Mercedes were rolling digital S-Classes off the line. And as with cars, advances in motorcycle technology tend to be cyclic. In other words we see periods of huge, giddying change, and then periods of gentle evolution of those new features. Right now we’re in the revolution not evolution period and Harley is suffering badly. Bike buyers today are showered with performance and safety technology on a scale we’ve never seen before. Vastly uprated ECUs combined with the use of gyroscopes now offer buyers very clever ABS and traction control, including in cornering, adaptive suspension, brake assist, anti-wheelie control, launch control and host of other things. Other than ABS (which Harley only really seemed to embrace because it feared legislation would make it compulsory anyway) the American cruiser maker has basically assumed all this stuff was only of interest to MotoGP wannabes on their “Jap crap”. Problem is, they were wrong. High end tech is all over the bike market now, on tourers, supermotos, adventure bikes, even scooters. It’s becoming more normal by the year, and buyers like and expect it. Add to this the enduring issues with Harley build quality – much improved but still suffering horribly from corrosion and quality control issues – when compared to the likes of BMW and Honda, and H-D is way, way behind the competition. And here’s the nub of the problem. Harley doesn’t think it has any competition. It sees itself as utterly dominant in its sector. Polaris, makers of the Victory and Indian brands, released record quarterly sales figures recently which suggest that’s a dangerous assumption but, regardless, the truth is that quite aside from other American v-twin makers eating in to its market, more and more potential Harley buyers are choosing vastly different German, Japanese or British bikes instead. 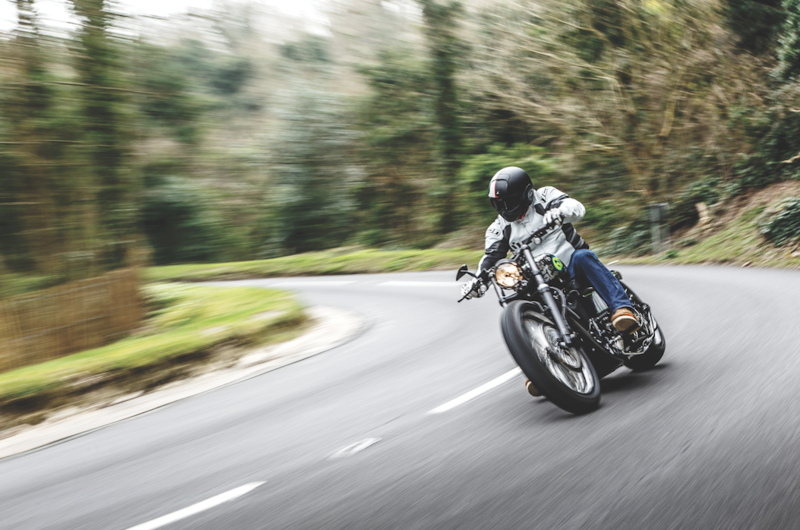 In the UK £14,500 will – just – buy you a basic Harley Softail: pretty slow, a mono-shock that could have come off a cart and ABS run by an abacus. Or it’ll buy you a BMW S1000-XR: blisteringly quick, continent-crossing practical, and dripping in some of the most cutting-edge technology available. Harleys do have an x-factor, still; riding one feels like riding nothing else and, for now, that’s still attracting buyers. But fewer each year. And who are they? Go to any Harley dealership on a Saturday lunchtime and it will generally be full of middle-aged men who look like they’ve fallen in to a Hells Angels dressing up box. 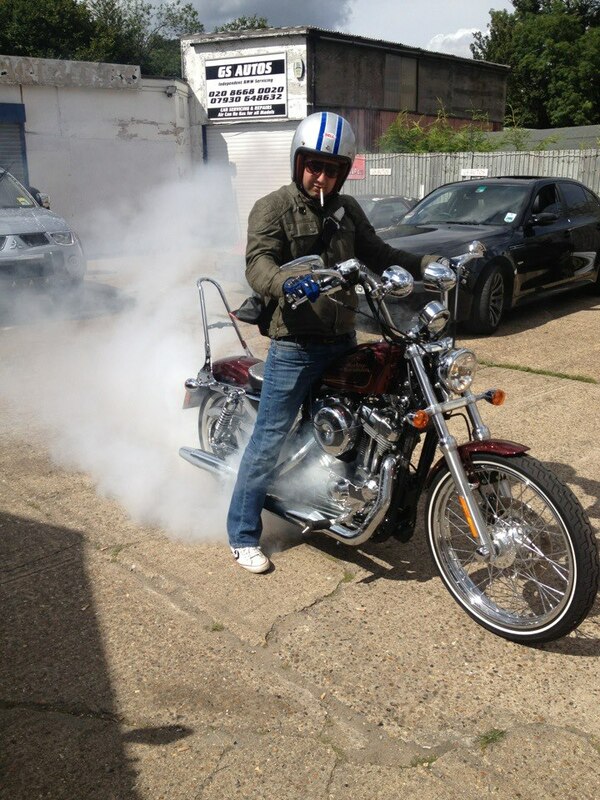 No offence meant – I occasionally do go to a Harley dealership on a Saturday lunchtime because I own a Harley. But the world of tassels, eagles, bandanas, denim and leather…it’s Harley’s core image, but not only does it not attract the younger buyers to the brand, it actively repels them. To them, and to me as it happens, it just looks, well, silly. In terms of bikes Harley has tried to address this. The “48”, a paired back 1200 Sportster, is a wonderful machine, both to look at and ride. Few bikes out there will provide more smiles per mile and it sells like hot cakes. The new Street 750 is also aimed at a different crowd. But ultimately Harley-Davidson is going to have to find a way of winning new fans from different demographics, and embracing technical changes in motorcycles, whilst somehow not alienating the older “Harley Owners’ Group” crowd who remain a very profitable bunch for the bike-maker. It says it gets this, and it says a 65% increase in its marketing budget and a 35% rise in R&D spending (a total $70m increase) is evidence of that. I hope its right, because the bad news for Harley is that you get just as much “freedom” riding a bike built in Munich as one made in Milwaukee. And people know that.